2015 Fantasy Football: Do I Really Need to Draft His Handcuff? Unless your fantasy league gives you an abnormally deep bench, you’ve asked yourself this question: Do I HAVE to pick up a B-list running back as an insurance policy? Instead, you could nab that sleeper WR that promises to win you key games. 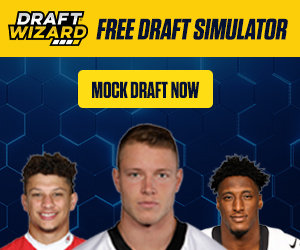 Or grab a top defense before the late draft rush begins. Or draft a rookie who might explode in week 1. So many possibilities, so few roster spots. Do I really need to draft his handcuff? 1. How Likely Is It This RB Will Get Hurt or Miss Games? This is the most obvious question to ask about drafting a handcuff. If your RB has a history of getting sidelined because of injury, off-field behavior, irritating Bill Belichick, or the like, you’ve got good reason to draft his backup. Usage: A bell-cow RB on a run-first offense will get tackled more. Getting tackled more means greater risk of injury. Youth: Younger players tend to be more resilient to injury, and they recover faster when they do get sidelined. The closer your RB is to 30, the more likely he will get hurt. Offensive Line: Even the most talented RB in the NFL won’t be on his feet long without protection. If your RB is surrounded by experienced and talented linemen, he’ll avoid the kind of hard hits that will sideline him. 2. What’s His Offensive Situation? No RB exists in a vacuum. While DeMarco Murray is a skilled RB, he became the #1 fantasy RB in 2014 by running behind the best offensive line in the NFL on a team that used its run-game to control the clock. Now that Murray is with the Eagles, his old handcuff Joseph Randle looks to be the new lead RB in Dallas. Randle’s talent isn’t nearly as developed, but Dallas trusts in its O-line to carry the less-experienced Randle. This situation illustrates how a RB’s offensive situation makes him replaceable or not. If you know that the handcuff RB will be able to plug into his offense system and produce similar results to your starter, you do well to draft your main RB’s handcuff. 3. Who Exactly IS His Handcuff? This isn’t always an easy question to answer, as many teams have RB-by-committee approaches and others have drafted exciting rookie RBs and want to give them a chance. Minnesota is a great example of a confusing handcuff situation. After losing the legendary Adrian Peterson last season, Minnesota relied on both the finesse of Jerick McKinnon and the brute force of Matt Asiata. So which of the two should you draft as Peterson’s handcuff, considering both would definitely split carries? Personally, I’d go for McKinnon, but the uncertainty here is a solid argument for drafting neither and filling that roster spot elsewhere. Also, not all handcuffs are created equal. Knile Davis proved to be an excellent backup for Jamaal Charles last season. Alternatively, Trent Richardson has shown himself to be an average player at best, so he’s not worth drafting as the handcuff to Latavius Murray. In short, if you’ll be drafting a mediocre handcuff in a middling situation, you’d be better off rolling the dice and picking another player. 4. Will the Rest of My League Notice If He Gets Hurt? Let’s face it: some fantasy leagues play to win and others just want an excuse to watch all the games on Sunday. If your league is filled with casual players who never check the waiver wire, you’ll probably be safe waiting to pick up your RB’s handcuff in case of an emergency. Arian Foster is the poster child for why drafting a handcuff is important. While there’s little argument Foster is one of the most talented RBs in football, his tendons have the resilience of old rubber bands. Alfred Blue, while not a grade-A talent, is practically guaranteed to start some games this season behind a good O-line in a run-first offense. Marshawn Lynch deserves the Beast-Mode name—he’s fast, powerful, and agile enough to take on multiple defenders by himself. However, a player with Lynch’s aggressive style (and age, and usage) could face a season-ending injury during any game. I love Beast Mode, but you’d do well to pick up Robert Turbin if you draft Lynch. Le’Veon Bell was the #2 Fantasy RB in 2014, but his three-game suspension this season makes drafting DeAngelo Williams seem like a no-brainer. Personally, I could go either way. Pittsburgh has two excellent receivers in Antonio Brown and Martavis Byrant, so it’s not like they’ll be relying on the aging Williams to carry their offense. And after his suspension is up, I don’t see the 23-year-old, 244-pound Bell as a major injury risk. Jeremy Hill is a monster of a young RB who ran for more than 140 yards in nine games last year. 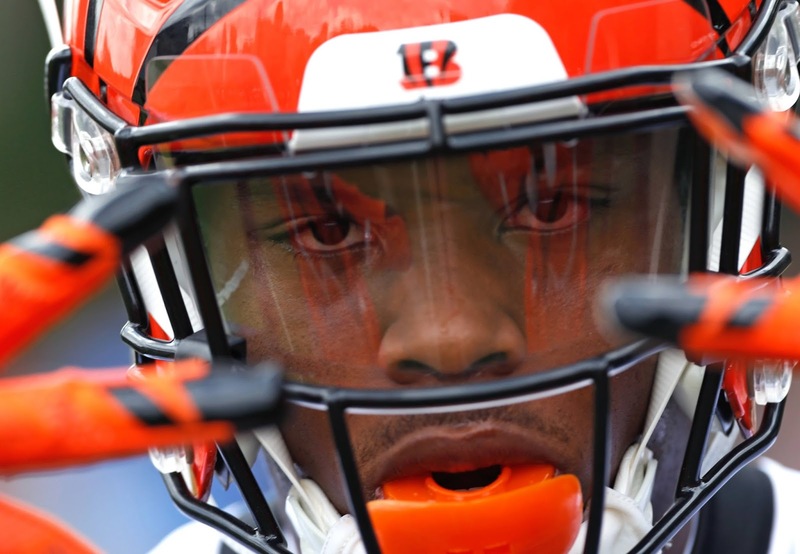 He’s the clear early-down favorite over Giovani Bernard. However, Bernard is half handcuff and half change-of-pace back who will see significant touches. Drafting Bernard to back up Hill is wasting an early draft pick, unless you feel like staking your fantasy season entirely on the Bengals’ running game. Carlos Hyde shared touches with Frank Gore last year, but the young and powerful Mr. Hyde is now the clear RB1 in San Francisco. However, between losing All-Pro Mike Iupati on the O-line and Jim Harbaugh on the sidelines, the 49ers offense has a lot of question marks this year. The risk here isn’t Hyde getting injured, but his situation turning into a lost season for the whole team. Draft Reggie Bush if you like, but that late draft pick should be spent elsewhere.